Awards: Filmfare Award for Best Supporting Actor (Haath Ki Safaai), Filmfare Lifetime Achievement Award, Zee Cine Award for Lifetime Achievement and more. 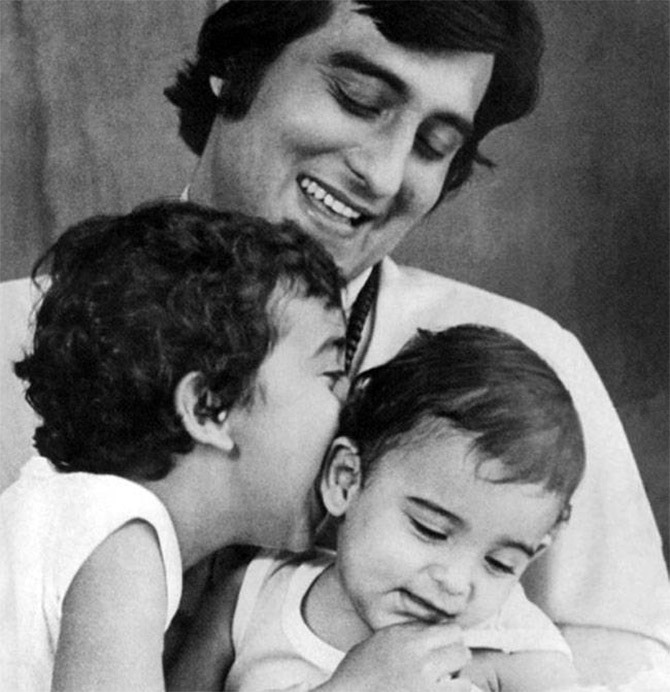 A loving father, an excellent actor, a great politician and an amazing human being, Vinod Khanna played each and every role in his life extremely well. He was an actor, politician and sanyasi. He was also known as, ‘the monk, who sold his Mercedes’. It was after he saw Mughl-e-azam; he started to love to motion pictures. He has a great fan following and we are sure you wish to know more about the great man, who left the world in the year 2017. Read on to find out more about the famous star, Vinod Khanna. Born in a Punjabi family, Khanna was born in Peshawar, British India, which is now in Pakistan. Soon after he was born, India went through partition. He was born on 6th October, 1946. His family left Peshawar and went to Mumbai since the situation was tense back there. Till Class 2, he attended St. Mary’s School and then they moved to Delhi. He studied at the famous Delhi Public School in Mathura Road. In the year 1960, Vinod Khanna’s family moved back to Mumbai. He went to Sydenham College in Mumbai and completed his Bachelor’s degree in Commerce. He is an educated man and did not leave his studies for anything. During his college days, he met Gitanjali. He married her in the year 1971. He had two sons with Gitanjali – Rahul and Akshaye. Both of them became Bollywood actors. Since Vinod Khanna took up sanyaas and went abroad to serve as Rajneesh Osho’s gardener, there was a rift between him and his wife. The marriage did not last for very long and they got divorced in the year 1985. He married an industrialist’s daughter in the year 1990. Her name was Kavita Daftary. They both had a son and daughter. He was every girl’s fantasy because he was an extremely good looking man. His first wife and he had a wonderful married life but it was after he turned his head to spirituality, things did not work out between them. It seems like the story of Buddha. Did you know that Amrita Singh had a crush on him for long? She was dating Ravi Shastri at that time and since she was drifting from him, he told her that she would never be able to woo Vinod Khanna. However, she kept trying to get his attention and they finally started dating. It did not take long for Vinod to break up with Amrita Singh. He met Kavita and he instantly fell for her because she was beautiful. She was 30 and he was 43. They got married in the year 1990. His film career started in the year 1968. 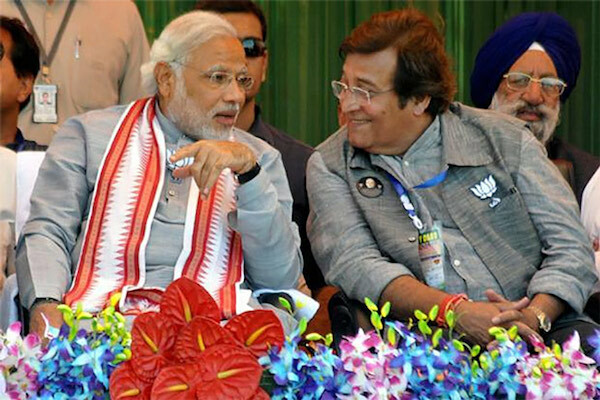 Sunil Dutt spotted him once Vinod Khanna finished his graduation. His movie debut was Man Ka Meet which was directed by Adurthi Subba Rao. He started with the role of a villain but gained popularity. He played the role of a villain in some of the finest movies like Aan Milo Sajna, Purab aur Paschim, Mastana and Saccha Jhuttha. His big break as a lead was in the movie, Hum Tum Aur Woh. His famous movies in which he gained recognition was Muqaddar Ka Sikander and Amar Akbar Anthony. Another movie which was famous was Main Tulsi Tere Aangan Ki. He acted in many movies and since he was a handsome man, there was no dearth of work. However, he took the past of spirituality in 1982 and left the film industry. He has played the role of a father in the famous movie, Dabangg. He also starred in Godfather, a Pakistani movie. In the year 1997, he joined the Bhartiya Janata Party. He became the Union Minister for culture and tourism in the year 2002. He was also the MP from Gurdaspur Constituency from 1998 to 2009 and from 2014 to 2017. He was the 4 time MP and he handled two ministries as well. He was a great political and actor. No doubt about that! Reports reveal that Vinod Khanna has bladder cancer. He was admitted to the hospital on 2nd April, 2017. He died at 11:20 AM on 27th April, 2017. This is his last picture with his wife. As you can see, he had lost a lot of weight and he looked very weak. He had advanced bladder cancer and could not live beyond 70 years of age. He was a handsome actor and had a huge fan following. The cremation took place at Worli Crematorium. Many big names in the industry were present at the cremation including Sanjay Leela Bhansali, Amitabh Bacchan, Rishi Kapoor, Subhash Ghai, Ramesh Sippy, Abhishek Bacchan and Jackie Shroff. Tears rolled down from their eyes and they saw the body burning into ashes. 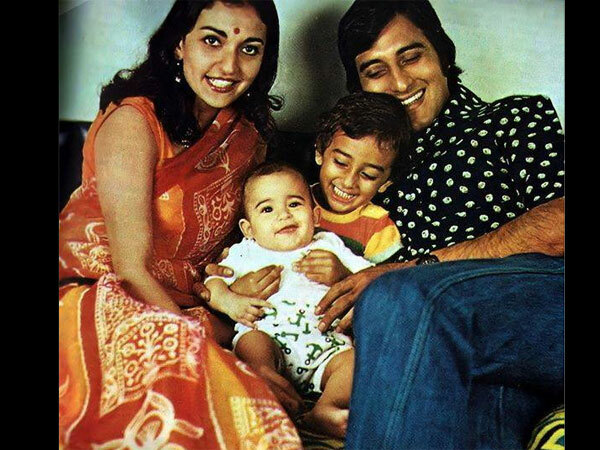 Vinod Khanna had four children. Rahul Khanna and Akshay Khanna are two of them and they have acted in several Bollywood movies as well. We shall remember him forever for his fantastic acting skills and in the number of ways he handled two ministries. He could not live till the end of time and died at the age of 70. However, he lived a quality life. He has three fine sons and a daughter. All of them are highly educated and they are doing well in life. He did leave his family behind to go towards spirituality but he was a good father and a brilliant actor.